Lauren Greenfield Wins Best Director, U.S. Documentary, at Sundance 2012 for "The Queen of Versailles"
Lauren Greenfield has won the award for Best Directing, U.S. Documentary at Sundance 2012 for her film, "The Queen of Versailles." We are all very proud of her achievement! Lauren Greenfield’s Documentary “ The Queen of Versailles,” which premiered on Thursday night as the opening film at Sundance, has been picked up by Magnolia Pictures last Friday for theatrical release! Press for the film so far has been extremely favorable. "The Queen of Versailles" was only the second film picked up at the Festival, and is slated for a summer theatrical release. Magnolia president Eamonn Bowles said of the film in a recent statement, “’The Queen of Versailles’ brilliantly encapsulates the salient issues of the American economic downturn, while also being one of the most jaw-droppingly entertaining films I’ve seen in a very long time," and goes on to say of the director, “Lauren Greenfield is an exceptionally talented filmmaker with a wonderfully humanistic touch, and she has found a truly magnetic, charismatic star in Jackie Siegel." Lauren said in a statement Friday, “I am really excited to be working with Magnolia, who we huddled with late into last night… I feel like we have found a true kindred spirit, who cares as much about our film as we do. I am really looking forward to working with such a smart, impressive team.” We are very excited and proud of Lauren. Last night, the 2012 Sundance Film Festival kicked off with the world premiere of Chelsea Director Lauren Greenfield’s new feature-length documentary, The Queen of Versailles, co-executive produced, in part, by Chelsea co-owners Allison Amon and Lisa Mehling. We are delighted to note that reviews for Lauren’s documentary so far have been extremely positive. Keep an eye on the list below for links to reviews as they become available. Congratulations to Lauren Greenfield on her new film. 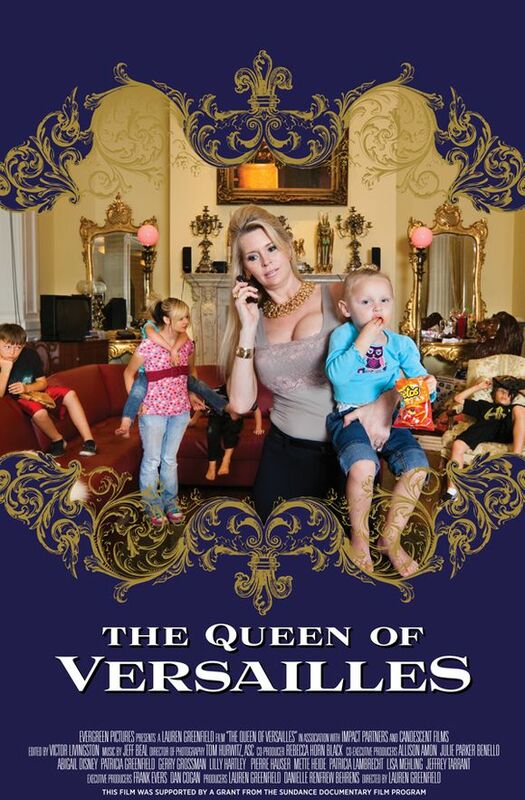 Reviews for Lauren Greenfield's The Queen of Versailles. Last week, some of the good people from Arnold Boston joined Chelsea in New York for a night out on the town, following a successful CDC shoot. Spotted on the Bowery from left, Chelsea East Coast Sales Rep, Denise Blate, Arnold CD Bill Girouard, Chelsea Producer Shanah Blevins, Arnold Exec. Producer Carron Pedonti, Chelsea Director Christopher Quinn, and Arnold Management Supervisor Faye Doyle. Sundance Film Festival 2012 is just around the corner (Jan. 19th – Jan. 29th), and Chelsea’s very own Lisa Mehling, Allison Amon, and Director Lauren Greenfield, (whose new film, The Queen of Versailles, will debut as the Opening Night Documentary this year) are gearing up for the journey to Park City in just a couple of weeks. Anthony Vagnoni, author at SourceEcreative, caught up with industry players attending and/or participating in this year’s festival. Happy New Year from Chelsea! Happy New Year from all of us at Chelsea. While we are sorry to see the holiday season come to an end, it's never too late (or too soon) to relive some of the holiday cheer of 2011. 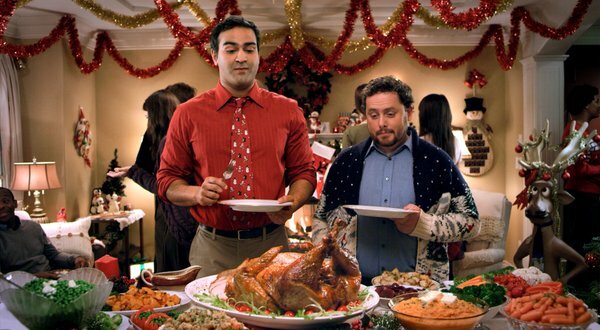 And what better way to do so than to revisit some of the great work that our friends over at Smoke & Mirrors did for Pepto Bismol's holiday campaign, directed by Chelsea's very own, comedically-gifted Director Jack Cole for Publicis NY? Follow the links below to check out a series of behind-the-scenes walkthroughs of their awesome CG work on Pepto Bismol's "Turducken" spots. Enjoy, and please look forward to so much more exciting news to come from Chelsea in 2012.